On 22 May, the US currency is bought at BIF 2530 and sold at BIF 2550. 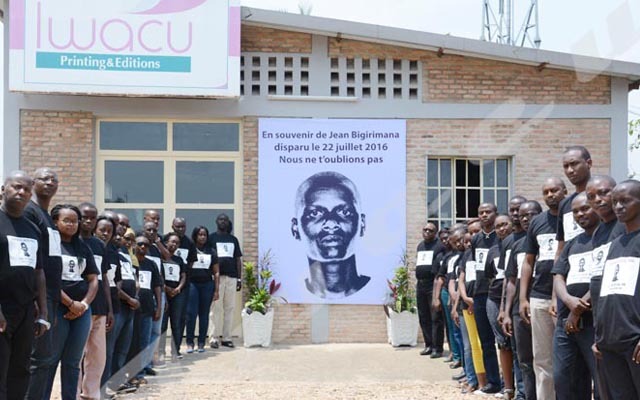 The situation is similar in five exchange offices in the capital Bujumbura where Iwacu visited. Forex traders say setting the price of the US currency depends on supply and demand. Two weeks ago, the US currency was bought at BIF 2330 and sold at BIF 2350. “Few people demanded the foreign currency and we were obliged to reduce its price,” says one of the forex traders met on “Avenue de la mission”, in downtown Bujumbura. He says the price of the US currency decreases day after day. In December 2017, the US dollar was bought at BIF 2930 and sold at BIF 2950 on the black market. “The number of importers-who buy or sell foreign currencies- has also gone down significantly since January,” says another forex trader. Forex traders say the market sentiment also determines the price of the foreign currency. “People who look for the currency refer to the current security situation. They collected different information here and there which led to an anticipation. And the referendum would be one of the reasons that led to the fall in the currency price,” says another forex trader adding that the price has significantly increased. However, the Burundi Central Bank has fixed the exchange rate at BIF 1763 for buyers and at BIF 1792 for sellers this 22 May. Salomon Nsabimana, a researcher at the Institute for Economic Development (IDC), the rise in price of the foreign currency is due to the devaluation, which is a measure taken by the government (monetary authority). “This means the loss of the value of the currency stimulates exports. The lower the currency, the more local products become cheaper, increasing then, the volume of exports and making foreign currencies,” he says. Salomon Nsabimana says the increase in the exchange rate on the parallel market is also due to depreciation of BIF. “The more foreign exchange there is, the more the national currency is worth its value. When the demand for foreign currencies exceeds the supply, the exchange rate rises,” he says. For stabilizing the national currency exchange rate, Nsabimana says an attractive environment should be created, which allows investors and donors to bring foreign currencies into the country. “There is however, a need to manage well the quantity of currencies that remain on the market in these difficult times”, he says. Nsabimana suggests that there should be a dialogue between the main actors that is the Central Bank (BRB), commercial banks and exchangers before setting the price of the currency. He also says it will be necessary to increase export products by diversifying the sectors and products such as tourism, minerals, palm oil, fruits… that can generate foreign currencies.